When croissant meets waffle, these 2 different types of pastries in terms of texture bump into each other and result a hybrid called CROFFLE! 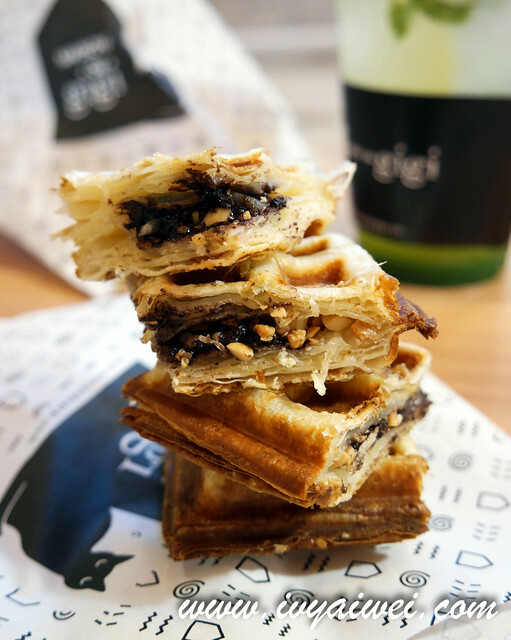 We can now find this new hybrid of pastry in Klang Valley! 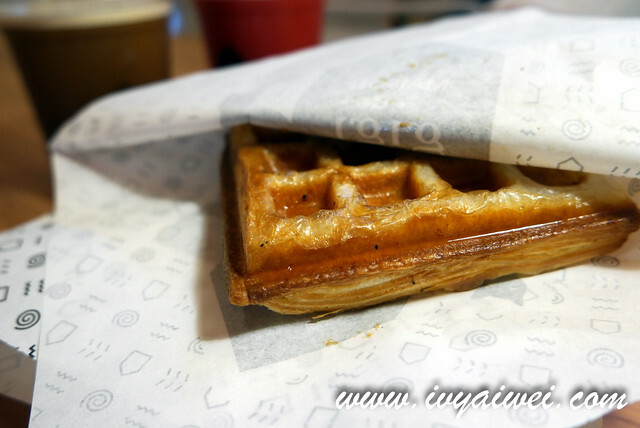 Is a renowned family owned waffle shop that stands along in the most happening area, Shinsaibashi, Osaka; which is also the travellers’ to-go-place when they are visiting Osaka. 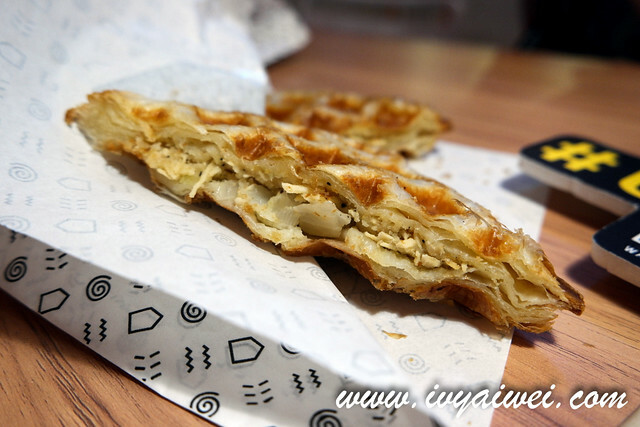 MAISON de gigi Osaka is serving Belgium waffles namely Brussel waffles and Liege waffles. Whereas here in Malaysia, they are serving this new hybrid which is known as CROFFLES! 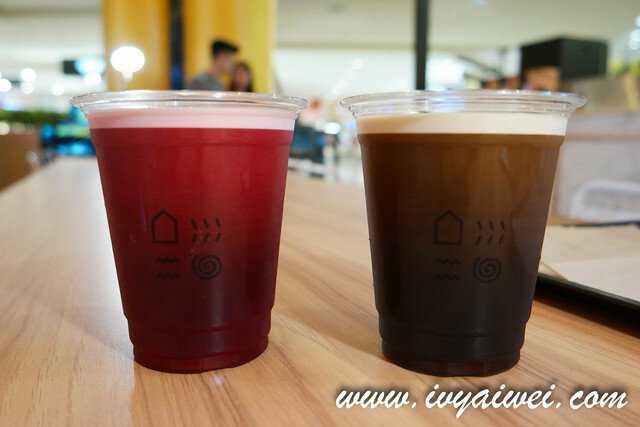 Nitro coffee is done by cold brew method over 12 hours and then infused with nitrogen gas through the high pressure process. 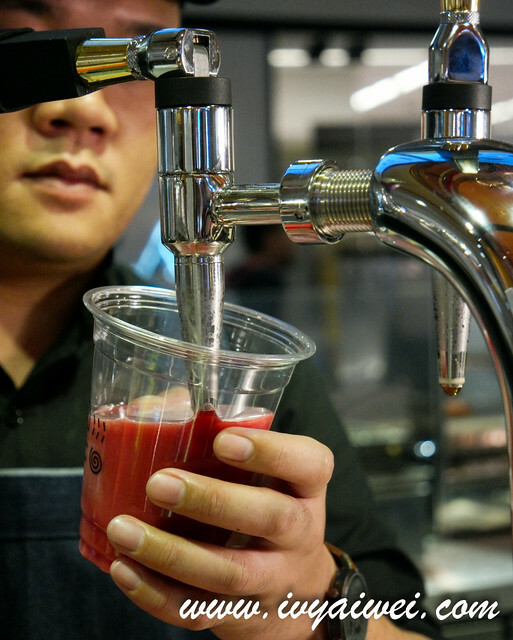 Brewed with their Indonesia Mandheling & Tanzania Specialty Beans; nitro coffee is a medium bodied coffee that filled with soft faint citrus hint. It was creamy and smooth, with that same colour and texture of Guinness Stout (minus the alcohol content). 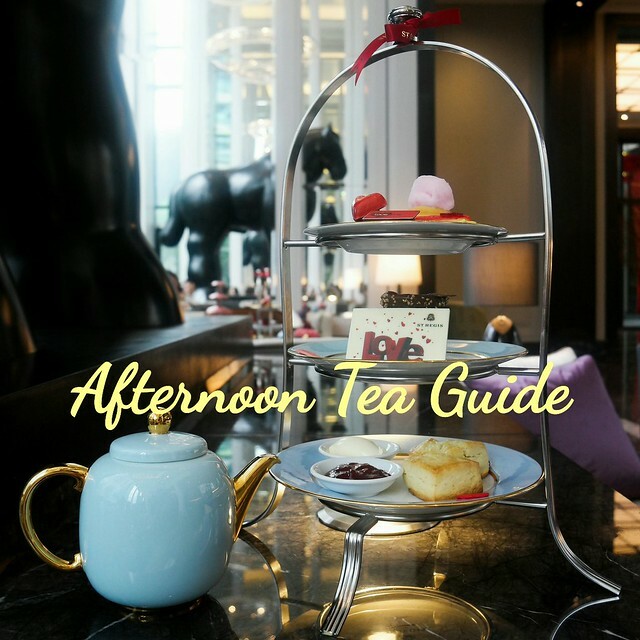 Made of Specialty Organic Tea Leaves; fragrant with tropical fruity aroma with a mix of hibiscus, rosehip, lemongrass and tangerine; very light and bubbly. Those who can’t tolerate caffeine can opt for this as it is caffeine-free. 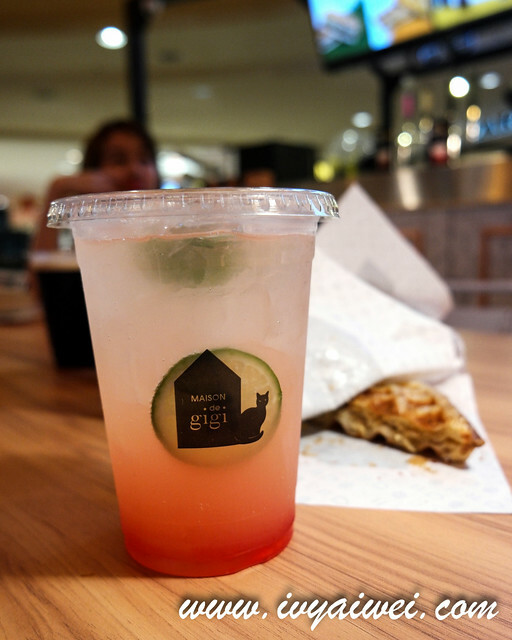 Watermelon, lychee and lemonade. Love the ombre orangey red colour of the drink before mixing. 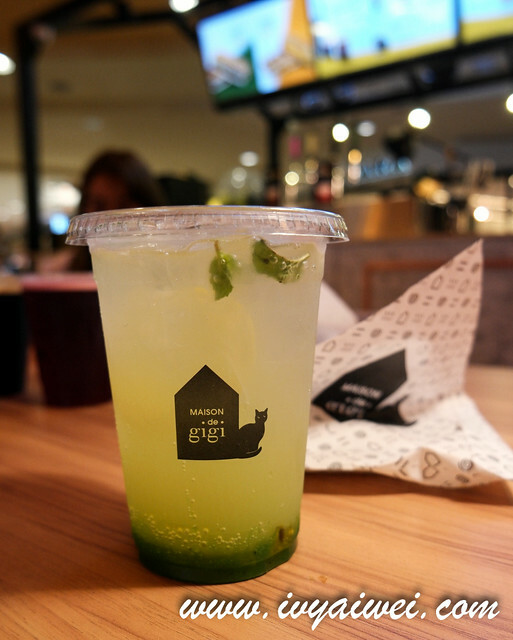 A pretty thirst quenching tangy lemonade to go with the pastries. Croffles, like what I mentioned earlier, it is the combination of croissant and waffle. 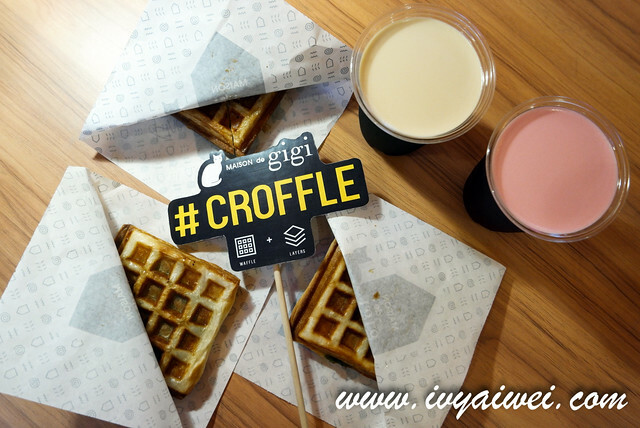 Croffle is very fragrant, crispy, buttery and flaky; every puff up layer of them brings you happiness. It is very aromatic that you can even smell the scent of this pastry from far behind! Exciting Volcano (Rm 6.9) has my vote. 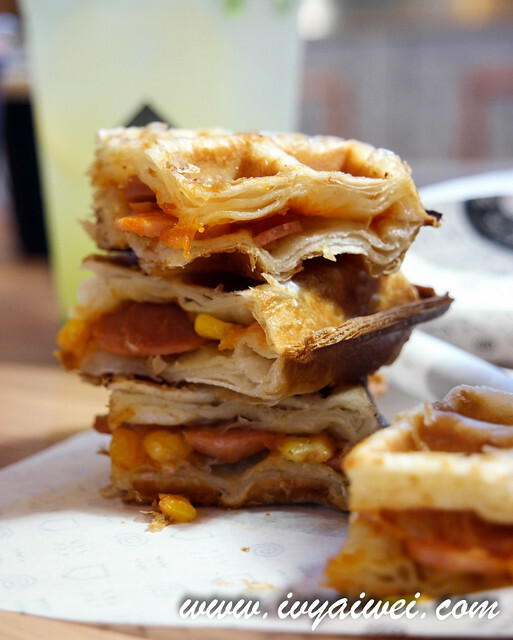 Filled with spicy sausage and corn and this mild kick of spicy flaky pastry is pretty addictive. Love biting of the crispy edges that gives the extra crunchy texture. On the other hand, Harmony Chipechee (Rm 7.9), the chicken pepperoni and cheese is pretty much like pizza. Funky Mud (Rm 7.9), filled with mash potato and chicken is amazing too! generally, I love their savouries. On the sweet side, Got Relax Wit (RM 6.9) is the pandan flavour; which I find it pretty much like having the mooncake, except in this buttery form. 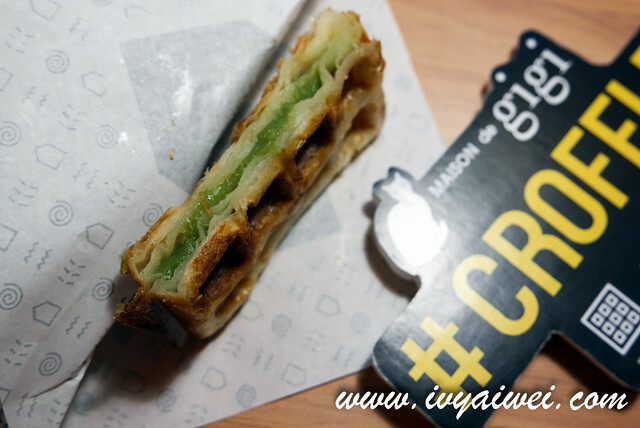 Peaceful Green (Rm 7.9) is another signature; filled with red bean and aromatic matcha. Merry Punch (Rm 7.9) is my another fave, nutty and chocolaty. 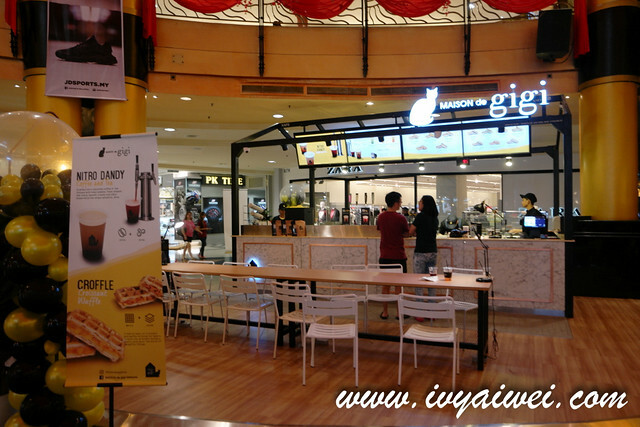 MAISON de gigi is located in front of Zara in Sunway Pyramid. Also, available in Sunway Velocity and Ansa Sidewalk Island, Bukit Bintang.